- building on the success of of the HORN ECLIPSE..but bigger! Fitted with Horn's Maxi air-lifter! ideal for new extra large sewing machines, such as the brother Innov-is I, Bernina 800 series, Janome Horizon amongs others. Building on the huge popularity of the HORN ECLIPSE 2021 the HORN SUPERIOR 2042 adds even more to that original break through design. 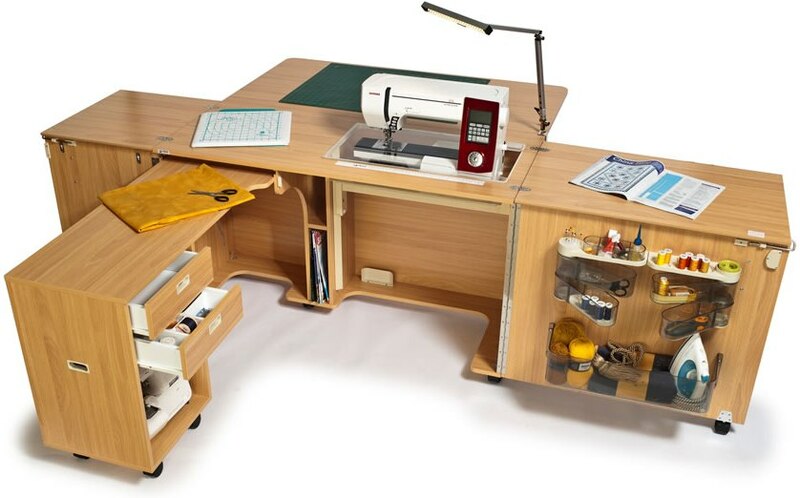 It offers even more leg room, it has even more storage, it's designed with the much talked of 'centre of needle' sewing position, it has even more large castors, not just for easy mobility but for stability to, even with it's large size they will enable you to move it easily into postion. 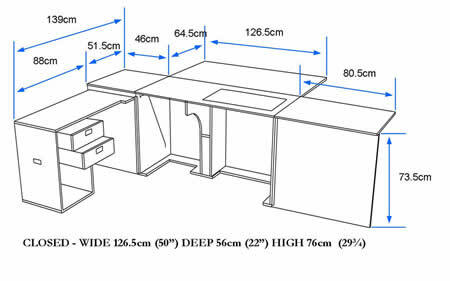 It has the huge work area at the back of your machine which is supported with a sturdy gate leg, this will allow you when needed the beauty of extra support with larger projects it will offer you a comfort and consistency of stitch, something that you may never have experienced before. 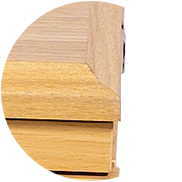 Due to it's individual design and size it allows the user to carry out several different projects at once, the user can stand to the right of their machine and piece together for instance whilst on the far left can sit at another piece of equipment, their overlocker perhaps or maybe presseing items with a iron and pressing mat - it allows you the room to decide. The Horn Superior 2042 is for those of you who want that bit more, who need that extra space, who have that bit more room to fill. The Horn Superior 2042 is the Horn ECLIPSE 2021 but on a grand scale. The HORN SUPERIOR 2042 - Closed.. from its large proportions when opened, it has the ability to close down dramatically. Finished with an attractive soft formed edge. Centre of needle sitting position, allows you to be directly in front of the needle when sewing. 3 step Soft-touch Maxi air lift system means a gentle push moves your machine from storage to flatbed to free-arm postions and will fit all domestic sewing machines on the market old or new! most home sew overlocks too! 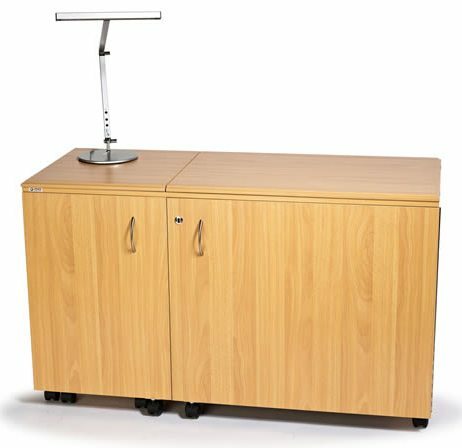 A versatile caddy system which glides out easily and can be positioned for either close-in sewing/embroidery or quickly extended to a more spacious operating set up. Spacious, see through door storage bins make finding thead etc....easy. 2 drawers with steel glides and a handy magazine compartment which adds even more storage. Huge work area at the back of teh machine. lifts up easily when needed and down when not (so it doesn't have to be open all the time). It has a very sturdy gate leg design with Quilters/Patchworkers in mind but is ideal for all sewing projects. Stores both a sewing machine and an overlocker, or maybe a second smaller craft class machine. Attractive soft formed edging finish to the tops. Horn Furniture regret that due to the size and weight of this item their delivery driver would not be able to take this cabinet upstairs.